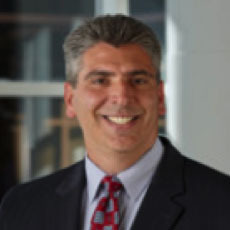 Joseph W. Valerio is responsible for market growth at Lyons, spearheading business development efforts by providing sales leadership and identifying acquisition opportunities. He and his team of Risk Management Advisors are charged with growing brand recognition for the firm’s four service platforms: commercial and personal risk management, employee benefits, alternative risk financing (captives) and human capital management. Valerio is a highly respected professional in the insurance industry, having worked with regional and international brokers. A graduate of the University of Pennsylvania, Valerio had a six-year career with the NFL’s Kansas City Chiefs. As an offensive lineman, he caught an NFL-record four touchdown passes, three from the legendary Joe Montana.